Come walk the misty paths of the Blue Mountains and see where the world's most sought-after coffee is grown. Considered one of the most expensive coffees in the world, Jamaican coffee is grown on the mist capped Blue Mountain, Jamaica’s highest mountain standing at 7,402 feet. Blue Mountain coffee has been grown in Jamaica since 1728 when coffee was first introduced to the island. This smooth Arabica coffee is sweet-toned, easily had without additives, naturally alkaline and contains vitamins and nutrients making it beneficial for daily consumption. Unlike the majority of the island, the Blue Mountain experiences its own micro-climate of significantly cooler temperatures and trustworthy afternoon rain, the ideal ingredients for ruby red coffee blossoms to grow. The largest mountain range in Jamaica, the Blue and John Crow Mountain range, has also been designated a UNESCO World Heritage Site. Come taste the distinct flavour of Jamaican coffee and purchase bag before you leave! Wake up to the smell of Jamaica and the taste of everything that's right. Did you know? 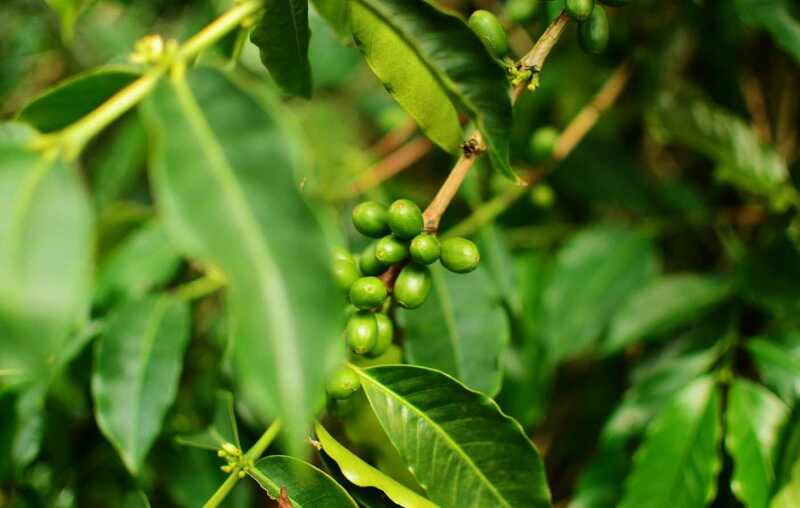 Only coffee grown between 3,000 and 5,500 feet can be classified as Jamaica Blue Mountain Coffee, while below 3,000 feet it is classified as Jamaica High Mountain Coffee.